HANA—short for High Performance Analytic Appliance—is SAP’s in-memory database model. Combining the advantages of low-cost main memory, data processing abilities of multi-core processors and the fast data access of solid state drives, SAP HANA dramatically improves the performance of analytical and transactional applications. 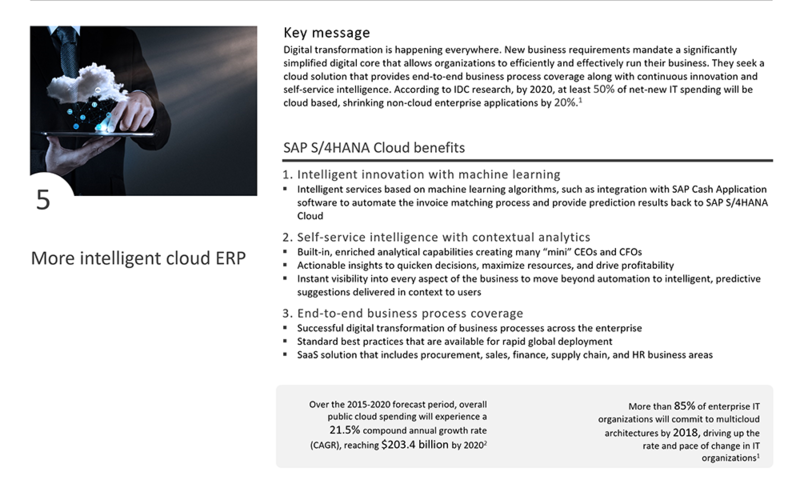 SAP HANA on Cloud features ready installed and configured enterprise resource planning (SAP ERP) and business warehousing (SAP BW HANA) systems in the cloud available for immediate deployment. This enables companies to be fast, flexible and efficient in provisioning new systems, and also enables them to realize significant cost savings on capital expenditures for hardware and infrastructure through its “pay by consumption” approach. Major cost savings can also be achieved by keeping non-production systems down during weekends and bank holidays, and keeping new or temporary systems active only during the time they are required by the business. 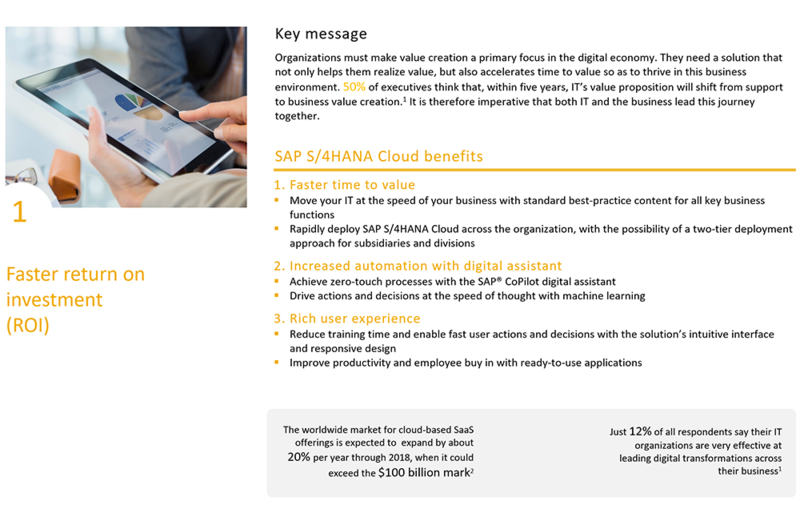 SAP allows businesses to leverage existing investments integrating non-cloud and cloud-enabled solutions onto one common platform with its HANA Cloud Platform. HANA Cloud is SAP’s in-memory cloud platform, enabling developers to build, extend, and run applications in the cloud. This platform provides a set of application services (SAP HANA AppServices) — integration, portal, mobile, analytics and collaboration–giving developers the flexibility to build their applications. SAP HANA Cloud Integration (HCI) is the integration service on the cloud platform provided by SAP. 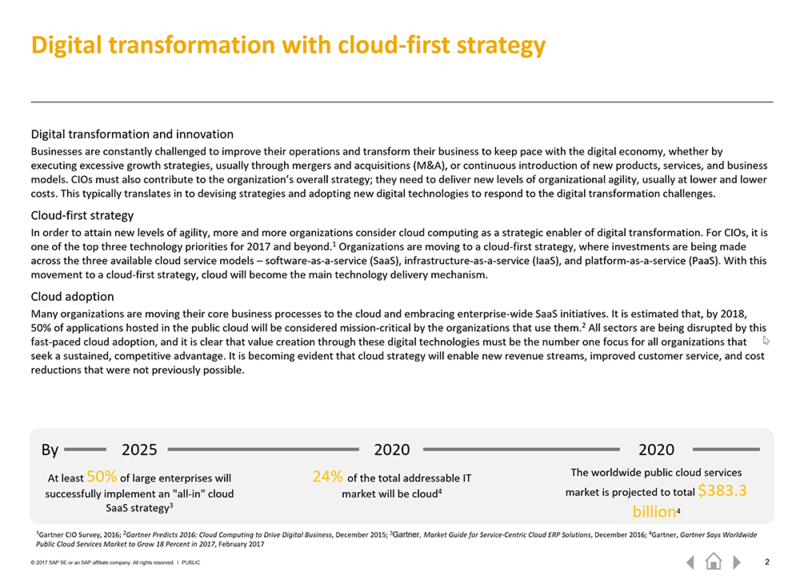 SAP HCI is a strategic integration platform for SAP’s cloud customers, providing out-of-box connectivity across the cloud and on-premise solutions. Using the SAP HCI technology, companies can build integration flows that wrap together various system protocols, messaging transformations, and services into an easy visual entity. HCI is marketed as a Software-as-a-Service. • Integration flows allow companies to connect all types of applications that communicate using different protocols. • Improved application integration helps better serve the business with enhanced productivity and quicker access to data. • Pre-packaged integration content (templates with pre-built process integration, data integration flows and other integration artefacts) can reduce the total cost of ownership for developing and maintaining custom integrations. • Integration efforts and risk of compliance are reduced. • HCI ensures complex security requirements of electronic communication are met. 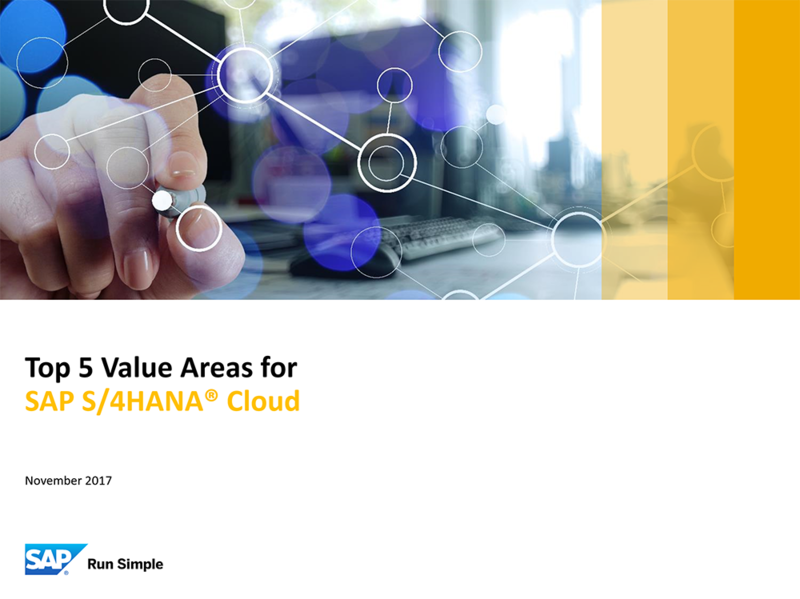 • There is no need to monitor, support, or upgrade SAP HCI because it operates on the SAP HANA Cloud Platform. This feature helps to reduce the cost of infrastructure and application management and cloud-based technology lowers implementation risk and enables reliable upgrades. • Existing SAP PO content is also supported and can be imported into HCI. is used for signing and verifying a message, as well as encrypting and decrypting the content of a message. • Another form of security that can be used with HCI is the Data Services Agent. DSA can be downloaded and installed locally. DSA enables the data flow between on-premise systems and the cloud without requiring to open the firewall to inbound traffic or configure a VPN. Applications can be quickly built and are highly scalable as they leverage the high speed and scale of SAP HANA. It offers instant mobile access for the ease of users and to meet the business requirements. It combines on-premise systems with the cloud. Infrastructure and updating are handled by SAP, thereby making users completely free from all these responsibilities. It includes HANA database, thus providing users with access to the processing of in-memory data and rich analytical functionalities of this solution. It guarantees data safety at the top level by means of certified data centers. This solution holds international safety certificates and guarantees availability at the level of 99.9 percent. HANA Cloud Connector, meanwhile, facilitates exchange of data between SAP HANA Cloud Platform and any SAP installation or other on-premise system, and also with HEC (Hana Enterprise Cloud) and any cloud or on-premise solution. It comes with huge possibilities, for example, many applications have been created based on HCP, including: IoT, analytical, financial and mobile applications. It helps in data analytics, as it provides over 40 predictive algorithms. It integrates with SAP solutions, including: S/4 HANA, BOC, CEC, Ariba and SuccessFactor. The SAP HANA Enterprise Cloud is a private cloud hosting service. The cloud service hosts SAP Business Suite software, which includes SAP HANA custom and out-of-the box applications and SAP NetWeaver Business Warehouse software on a single instance of the SAP HANA in-memory database platform. 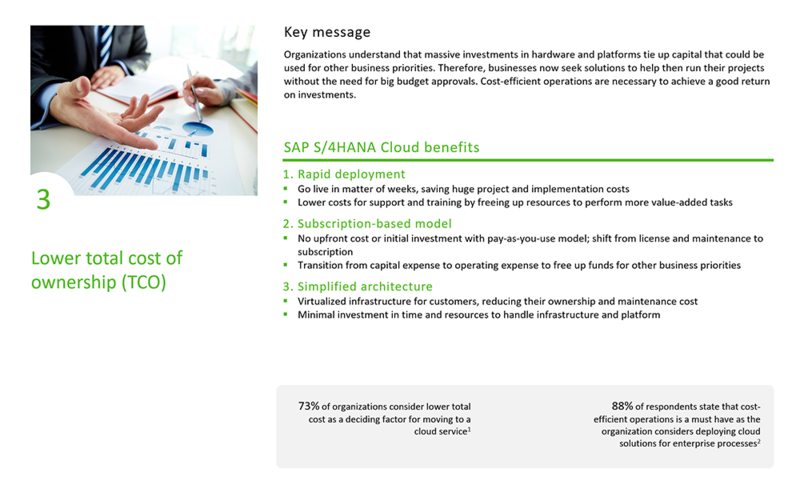 SAP HANA Enterprise Cloud combines infrastructure-as-a-service with managed services for SAP software. 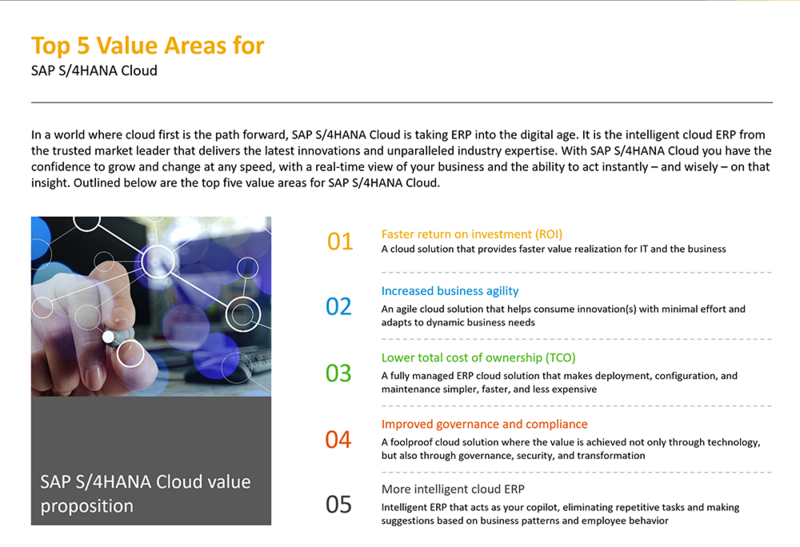 HANA Enterprise Cloud is available through data centers worldwide—either SAP owned or co-located. SAP conducts an assessment service for HEC customers and helps migrate their applications onto the cloud infrastructure, then provides ongoing application management and support. HEC managed services include backups, patching, provisioning and upgrades, restore and recovery, infrastructure monitoring and event detection—all in a private cloud environment. Customers can bring their own SAP applications into HEC or use subscription-based pricing on SAP software. SAP says the primary characteristic of HEC is that it is a complete managed service by which SAP provides the infrastructure as well as the deployment and management of the applications. Customers benefit from SAP’s deep expertise in SAP technologies and HANA. The data centers are run entirely by SAP’s application management services team, leading to a reduction in IT management costs. Customers are also able to offload system upgrades to SAP. In the Philippines, FastTrack Solutions Inc. is the first SAP partner in Asia Pacific to implement SAP HANA, an affordable, highly scalable business management solution with integrated transactions and analytics, all on one appliance. Companies that are interested in the benefits of SAP HANA on Cloud can get in touch with FastTrack to learn more about its core features and go through a demo that shows it in action so they can assess its critical features, pricing and the system’s ease of use. 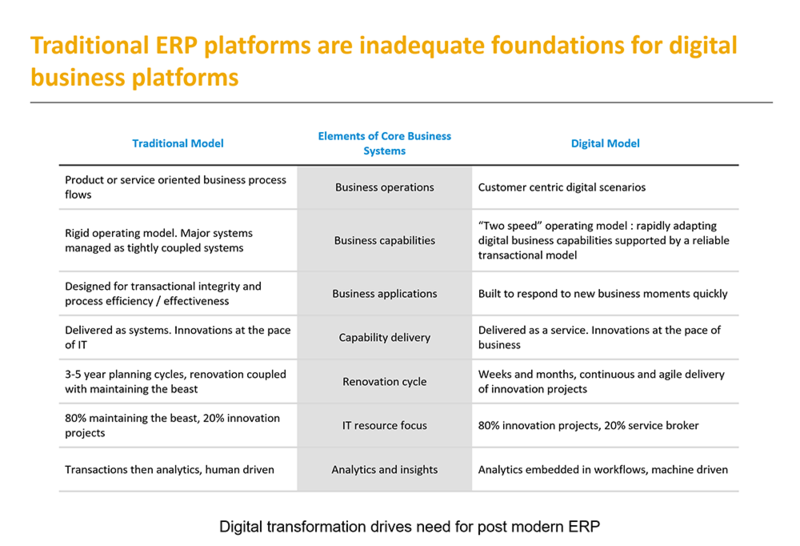 FastTrack can also help existing SAP customers explore conversion and upgrade options to help them enjoy the benefits of SAP’s next-generation ERP software. 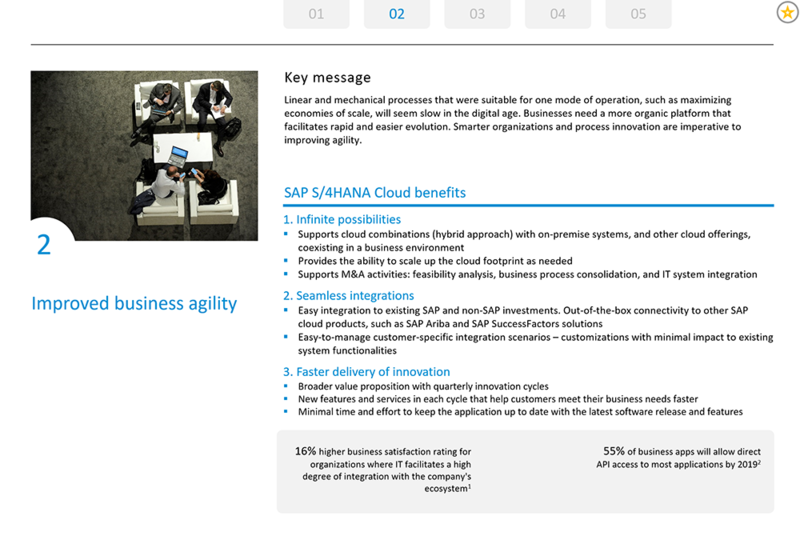 A free trial of SAP’s cloud solutions is available through its website. For Other Concerns please visit our Contact Us Page. What is a Manufacturing ERP software? Why Choose SAP Accounting Software? Fasttrack is the only partner in the Philippines invited to become a member of the United VARs. By virtue of being part of the United Vars, Fasttrack is now recognized as a Global Partner & of Platinum Standard.